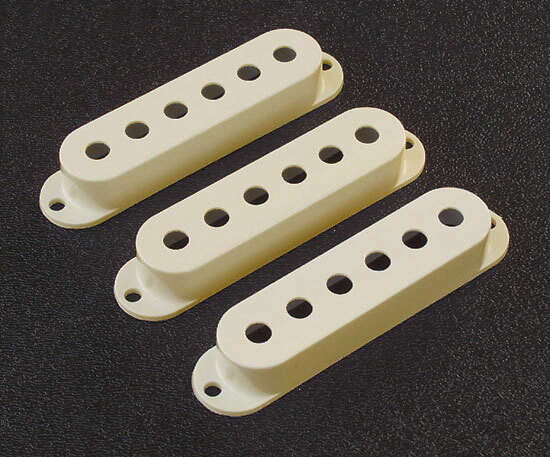 These start off as Genuine Fender® Stratocaster® white pickup covers that are custom aged / tinted to a vintage aged white color. Similar in color tint to an original Fender Aged White pickup cover set color. Set of 3 covers. Pickup covers will not fit any of the noiseless pickups. Brand new. Made in USA. Bulk packaged.